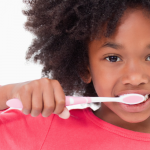 Did you know that you have rights to your dentist’s records about your oral health? The truth is that your dental records play an extremely important role in tracking the trajectory of your oral health. A thorough knowledge of a patient’s dental records is essential to successful diagnosis and treatment. 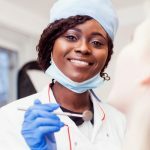 In this blog, you’ll learn what exactly your dental record is, what your rights are, and how you can obtain copies of your record at Penn Dental Medicine. What is a Dental Record? 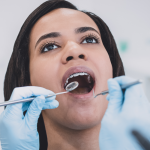 The keeping of dental records has changed dramatically over the last five decades as a result of technology advancements and federal regulations. In the past, a patient record included paper forms with your history, a chart with written notes, and a few radiographs. Today, your dental record is an electronic document comprised of digital images that have been professionally interpreted. 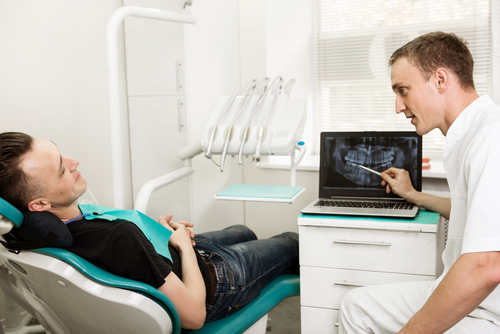 The data in your record is protected by dental records law to ensure privacy. A dental record includes all the information generated by your dentist when monitoring and treating your teeth. It is used by your dentist as an objective indicator of the health of your teeth over time. New dental radiographs can be compared to older ones to document the trajectory of a patient’s oral health. 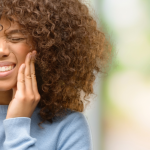 This information is vitally important, as it provides a history of your oral health that may suggest predispositions or contraindications which your dentist should take into account during treatment. Legally, the dentist owns the original documents of your record because they have ordered treatment and diagnosed the tests. Patients cannot take their original record, but they have the right to review and request copies of their record. Considering this, a dentist is obligated to use only factual statements when documenting treatment. The dentist cannot refuse to release a copy of dental records because of an outstanding balance with the practice. This is especially the case if another dentist has requested the dental records because the patient is being transferred to another office. Patients have the right to access copies of this information at any time. Copies must be sent within a reasonable amount of time. State law regulations set limits on reasonable costs charged to the patient for copying and mailing the record. You also have the right to confidentiality. Original records are protected by law and can never be released to a third party. The only exception to this rule is in the case of subpoena, which would require the dentist to submit the originals to a court of law. Last, your dentist must abide by ADA standards for dental record keeping and forms. The dental profession is strictly regulated by laws that protect the privacy of health and financial information. Penn Dental Medicine (PDM) provides copies of your dental record upon request for a nominal fee. All requests must be made in writing and signed by you (or a representative such as a spouse or parent) using our patient release form. PDM guards the privacy of all our patients’ information. Dental records play a key role in our diagnostic and treatment processes to reduce risk and achieve the best possible outcomes for patient oral health. To schedule a checkup with PDM, you can call our office at 215-898-8965.